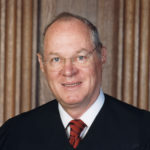 Earlier, Palmer Report pulled together all the confirmed pieces of the puzzle when it comes to Donald Trump, Russia, Deutsche Bank, and retiring Supreme Court Justice Anthony Kennedy. We argued that while the mountain of circumstantial evidence doesn’t prove anything, it’s the kind of situation that calls for a criminal investigation. In response, several readers asked us if we had any way of getting our article to Special Counsel Robert Mueller. We can do you one better. Based on the pattern we’ve watched play out with Robert Mueller over the past year, we can virtually guarantee you that one of two scenarios is true. Either Mueller and his team began investigating the Trump-Kennedy-Russia connection the minute it showed up in newspaper headlines last week, or Mueller and his team already knew about it and their investigation into it is well underway. How can we be so sure? No, we don’t have some secret backchannel to Robert Mueller. We’ve simply observed how he operates. Whenever the media exposes some new aspect of the Trump-Russia scandal, we usually later learn that Mueller knew about it before the media did. Even in the instances where Mueller doesn’t have something first, we’ve seen that he’s leaving absolutely no stone unturned. The Trump-Russia meeting in the Seychelles? Check. Roger Stone’s communications with WikiLeaks? Check. Every credibly reported aspect of the scandal, big or small, no matter who’s involved, ends up landing on Mueller’s radar eventually. We’re looking at a situation where a Supreme Court Justice’s son used his position at a major bank to steer absurdly inappropriate loans to Donald Trump, at the same time that bank just happened to be laundering billions of dollars of Russian money into the hands of clients in the city where Trump lived, even as Russia was working to get Trump elected President, and then that same Justice stepped down at just the right time to help Trump. You’d better believe Robert Mueller is looking into something that obvious and ominous – and if it is indeed a criminal matter, he’ll pursue it and expose it.